Berengaria of Navare. 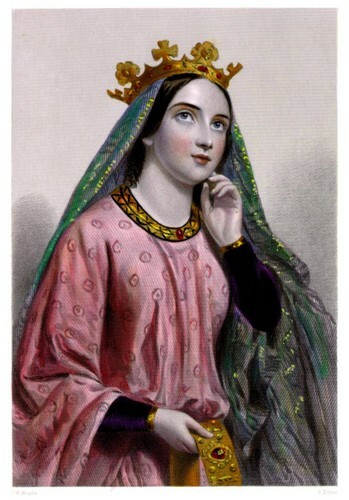 Berengaria of Navare was the Queen of Richard the Lionheart. She was brought to Richard par Queen Eleanor of Aquitaine while King Richard was on Crusade. Queen Berengaria never set foot in England while Richard was alive.. HD Wallpaper and background images in the rois et reines club tagged: royalty monarchy queen queen of england england france crusade richard i. This rois et reines photo might contain surcoat, surcot, guimpe, wimple, vêtements de plein air, survêtements, vêtements de dessus, vêtements d’extérieur, and overclothes.